Fairly dead end as will only do them out of hardox and bending it needs stupid pressure and minimum size sheet to fit the press so making them for small rams and machines is uneconomical as to much waste after its cut down to fit. Try dave Hargreaves at coneythorpe near arkendale, he will fabricate one for you, he makes a lot of kit for us. That's more of a wood tink digger than a fancy, Posey arb digger 😂. And for that reason I love it 👍. Probably a whole new thread, but most look on here with an interest in all things Excavator and Tree work related, and I just wanted to give a general heads up that the honeymoon is really going to be coming to an end very shortly on the whole explosion of their use in such work. Probably some welcome news for guys that have seen there use erode traditional methods, but whilst I predict it's going to be an awful lot more difficult to spec and use such setups, they're never going away, such is their safety and productivity when used correctly. How do I know? Basically things are hotting up behind the scenes on two fronts, with many interested but not quite fully joined up parties exploring these aspects, and it's only time now before it all gets rolled out. It's time a few in the industry had a pot of tea somewhere to formulate a sensible case to argue back when it all breaks cover, in the likely event it all gets over the top. The Operator card scheme is classic example, nobody was ready for it being rolled out, and look at the mess it's got us in now! Just a heads up for anyone currently running or speccing an Excavator and Shear at present. 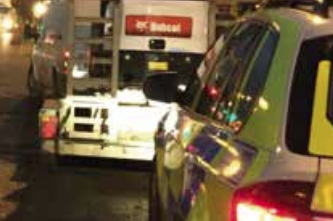 First is the whole cab guarding issue, it's not gone away, it'll be here soon enough, and expect once some guidance arriving, if you're onto any of the more compliance orientated applications, expect them to go straight to wanting to see something tested on the front and top of the Cab. Not a lot of solutions out there, Cabcare cover some not all, they're not 100% focused on this application, but I expect they'll gear up a lot more if anything comes forward to insist on it. The second is the whole Tree Shear and is it a Lifting Operation debate? No point anyone arguing, the going has been good a long time now, and it was only a matter of time before someone said hold on what's this all about? It can always be argued that how do you know how much you're lifting until you've cut it? The reply would be leave that Shear firmly on the floor if you can't prove it can safely handle the task. Some argue it's not a lifting operation, but the HSE take the view that a Grab or even Magnet suspended from an Excavator is a lifting device, and will require a lift plan for it's operation. Basically it's all being looked at, no prizes for predicting the outcome, it's going to be a Lifting Operation, you're still obviously going to be able to use Shears on an Excavator, but there's going to be a fair bit more paperwork and costs involved. It'll require a lift plan by someone competent, and I'd reasonably expect that to include some calculations as to the maximum size of tree/limb section you can cut with the specified setup etc. Basically a proper survey of the site etc, and possibly even a someone working with the machine to ensure it's not going outside what has been identified as safe. As for the actual Excavator and Shear, things are going to change, as you'll need a Prolec or similar on almost all to get your full capacity throughout the whole working envelope, and base carriers are obviously going to get a lot bigger in relation to the Shear. The current crop of 14 tonne class machines running 350 Westtech or copy of them Shears that take them outside the load chart with just the Shear and quick hitch alone, are going to be looking for much lighter alternatives. 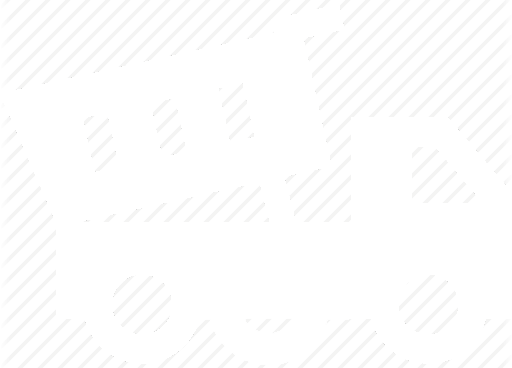 The Shear will have to state it's SWL and be tested on a regular basis under Loler, obviously the Excavator can carry a Shear with an SWL more than it's capacity, but this will have to weigh in under the lowest rating on the duty chart, plus leave enough capacity to lift what the load plan has identified. The current situation of Shears on machines that are outside what the Excavator can lift on it's duty chart before anything is even lifted has obviously been the catalyst for all this, and some inexperienced guys simply refusing to take a top out, before going in at the bottom to minimise the risk hasn't helped. Big lumps in Shears look great, but not when the back track is 2ft off the ground! You could go down the route of using Prolec etc to restrict radius to gain more capacity, but the reality is you're just going to be putting bigger carriers under Shears going forward. Don't shoot the messenger, it's exactly the same as the bit I wrote about Unimogs the other day, some will comply, some won't whilst there's good money to be made, the difference here is that it may not just be the cab bars you're having your tea behind if you want to have a bad day out with the HSE and a big book! 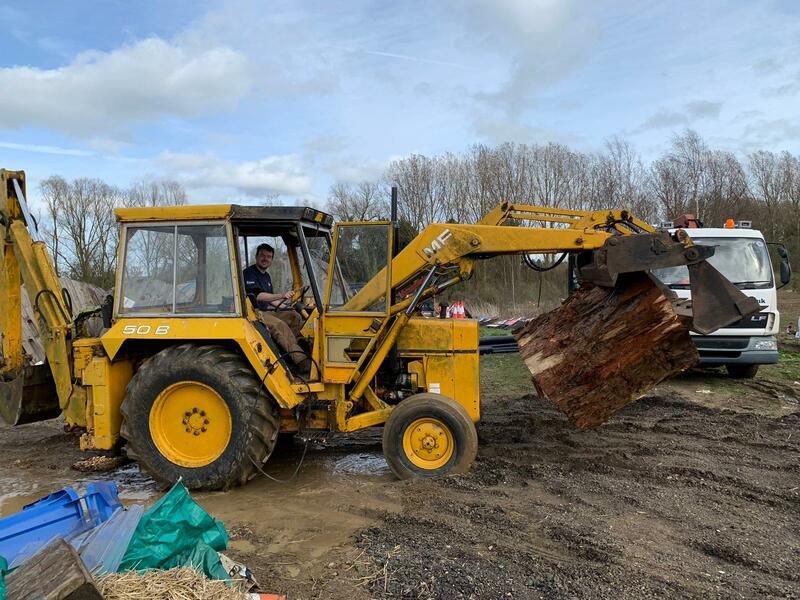 I’ve just changed a Bobcat Loader for a JCB 325t Forestmaster, the standard factory cab guarding has been well thought out for mulching operations. What I wouldn't give for one of those! Do you think this will cover grabs both fixed and swinging for chipper feeding etc. I'm wondering how this longterm could play out for harvesters and forwarders as at the moment they don't require anything like your talking about. 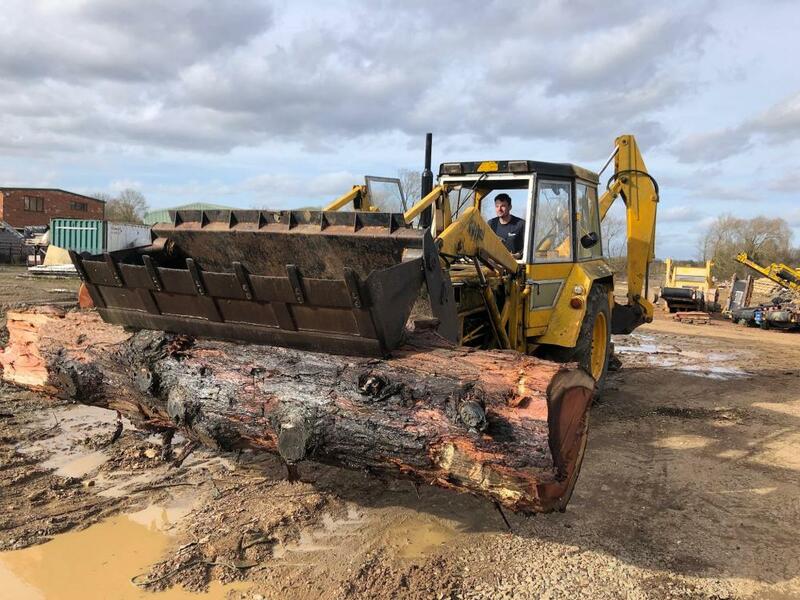 Will the forestry machines continue to be overlooked and will the likes of our botex come under scrutiny as it spends a fair amount of time in forestry but also on site collecting timber which is the same for our digger. So pleased you asked as basically a grab used on an Excavator is a Lifting Operation, and yes I see no reason as to why should something happen under the present rules, not having a correctly specced/certified setup or some form of lift plan couldn’t be applied to a roofmount collecting timber. It’s more about how the setups are specced, so you put a Tiltrotator on an Excavator and convert a heavy old Selector Grab to use under it. You could end up with 50kg of capacity to go to work with! This is where the changes are required, and to make full use of that capacity you really need something like the Prolec to give you real time information of what’s being picked up. If you knowingly send a machine with only 250kg of capacity in its configuration to load lumps of 1000kg and it’s lying on its side, then it’s obviously not going to end well. With regard to Forestry I’d say they’ve by default got their own house in order? The purpose built kit is always well on top of the task, is rarely fitted with aftermarket accessories, and once that Tree is down and into product, everything down the chain is working nicely, well with it’s design limitations. Obviously legislation is already in place to ensure it was correctly specified at manufacture and is tested on a regular basis. The use of something like a Truck with Hiab and Grab to collect Arb material is increasingly common, we’ve all done it and yes I see no reason why such setups won’t escape. It’s a lifting operation, often some big old lumps and a lot could go wrong. Again it’s not going to stop anyone, just measures in place to ensure it’s a safe operation. In such instances you could probably simply use a load cell to check out anything that’s near limits, and it’s not a huge task to cut a piece off compared to putting a Truck back on its wheels. I keep going back to the Unimog, because this is exactly the situation we are in now with Shears and Grabs on Excavators. You can fill your boots until it actually goes wrong, the legislation is already in place, they’ve managed to stay under the radar because on the whole most at the front line have been doing a pretty good job. However they’ve spread to the masses and now flagged up big time on the radar. We haven’t a trade association that can pull guys together to formulate a best practice, so it’s inevitable that guys who sit outside the true new industry that has sprung up will be involved. Mention trees and everyone thinks ask someone in Forestry. 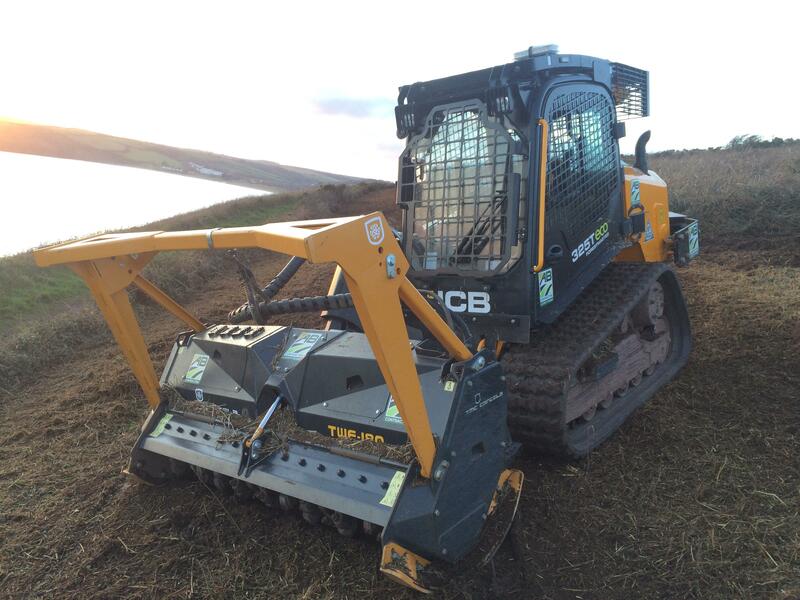 Couldn’t be further removed from your average high compliance Tree Shear applications. I know it’s going on because a few different people have reached out and said, you do a bit of this, what’s your take on it. It would be nice to get some interested parties together to see if a straightforward best practice and guidance for setups and their operation could be formulated by those doing the job, rather than have it pushed on us by guys who’ve never done a shift at it. The Demolition Industry does exactly this, they almost legislate themselves and guide the HSE as to best practice for the operation of some setups that make the average Excavator and Tree Shear look pretty insignificant.